If you are just starting out as an art teacher, there are tons of resources available online, from theartofed.com to Youtube videos by various art teachers. Below are a few comments from Alabama art teachers describing their advice for the "newbies!" Fairness and consistency. You must be consistent with rules and expectations. Have a system for everything. ..seating charts, clean-up process, where to put drying works, recycling, etc. Stick to the process. Students need to know expectations - then hold them to it (neatness in art work, clean areas, cleaning-up). Follow-up on students not performing to levels of expectations - discipline issues and those students you notice may be having a difficult time keeping up. My advice for beginning teachers: Don't give up. The first year is the toughest. Always be prepared with your knowledge base, supplies, next project idea, etc. Projects don't always turn out the way you expect. Have a back-up plan. Work with other art teachers in the system to find out what projects are successful. Encourage the students to enjoy the process and all art is different (that's what makes art great) - don't compare it to their neighbor's work. As for advise for new teachers it would be to create some kind of discipline/management system. To be organized with plans, supplies and storage of work. And to use pinterest to help organize your ideas, lessons, and resources. Advice? Well, I remember being so nervous and mentally questioning myself all the time my first year. Trust yourself, teaching becomes easier with time. Show confidence in yourself. Children will pick up on that. Follow through with what you say. Be consistent. Last year was my first year teaching so I don’t know how valuable this input is but here it goes  I think the one thing that helped me have successful projects was over preparing and portioning out paints pastels etc ahead of time. My lesson plans really spell out how much I plan to get done in a class as well as what we may do to adjust if things go slow/move fast. I think you should be prepped for what you plan to finish that day and be ready for students to move quicker than you expected. If they get stuck and move a little slower you’ve lost nothing by being one step ahead of the prep game. Always have relevant activities to fill in that space if it is impossible to begin the next step of your project. Having a steady stream of activity ( not free draw or free time) keeps behavior in check naturally a lot of the time. Classroom Management – Have a good plan and stick to it. Know your materials. If you don’t know it, don’t try to teach it. Be READY to present your lessons, without a lot of starts and stops. Even though you as a teacher know infinitely more about art than your students, don’t come off as a know it all. Learn as much from your students as they learn from you. They’ll appreciate you for it! Discipline – Begin the year with FIRMNESS, yet fairness. You can always let out the reigns as the school year progresses. It will NOT work the other way around! If you have students that misbehave a little, put yourself near them. Move around. BE THERE!!! Don’t be doing unrelated activities while your kids are working on an activity. They WILL feel neglected. And if they feel YOU are not engaged in THEIR work, you can expect discipline problems. Hope this is helpful! I'm sorry I'm just now getting back to you. I was in a training session for two days and so last week was a bit crazy. And so is the life of the art teacher. My biggest advice is to be organized, be prepared, set clear expectations, and be consistent. #1 Advise: Keep students busy!!!! Students finish projects at different times and the early finishers need to have something to do to keep them busy. I have an assortment of "fun" art projects that I have early finishes complete. The early finishers receive a grade for the fun project, but the others students are not punished because they don't get to the extra project (they receive no grade for the extra project). Idle hands cause discipline problems. Advise for new teachers: Have an organized room so that students can easily locate supplies---and keep students busy!! Don't be surprised when a project is too hard for students. As artists, we can plan too difficult of projects and frustrate students. i Start simple and build on those skills. Students who are better artists will take a simple project and make it more intricate. I don't know if colleges are preparing prospective teachers on classroom management/discipline. I know they did not in the past. It was something that I felt was absent from the curriculum but most definitely needed. Most of us have had to learn management by trial and error......and time. Firmness and fairness have to be the overriding concerns. As a man I feel I have it somewhat easier than my female colleagues. Just a stern, deep- voiced command is usually all it takes to gain attention and stop any poor behavior. Some teachers create an atmosphere of absolute command-no talking, no movement, no nothing. I guess that is much easier for control but, that type of room climate is not for me. It sometimes is a fine line but I prefer more of a controlled chaos-which enhances creativity. The students know me and the rules and work within those restrictions quite well. So that would be the word of advice to the new teachers- a clear set of classroom rules and the repercussions for poor behavior. Stay professional. If you are young and in the high school setting, wear fashionable but not form fitting clothes! You can be relaxed and joke with them, but always stay professional. My advice to beginning teachers is to make certain that this is your passion--that there's nothing else in the world that you'd rather be doing than working with kids to help build their (and our) future. Hi Anna, I guess my best advice to a beginning teacher would be to have your class rules and procedures in place going in, including any in-class behavior consequences established. A new teacher CANNOT teach unless he or she can control the classroom! I spend seven to ten days going over these with my students before we ever begin the first art project. An elementary school art teacher says, "My advice for first time art teachers would be to be organized. If you are not prepared, you will feel overwhelmed! I think you need a seating chart. You need to have some system for passing out and taking up supplies. Time management is very difficult at first, especially with 30 min. classes like most of us have. I used to use a kitchen timer to help me to remember when to stop and clean up." Also, I used to ask other classroom teachers (both effective teachers and those who didn't have control) if I could observe. I learned what works and what doesn't! A lot of art teachers give "punish work" but that didn't work for me because principals didn't like discipline academic assignments. I highly recommend the Harry Wong book, "The First Days of School" -it helped me a lot! I also recommend the "Greatest Artist" video series to show when you have a substitute. Know what is expected from administration and DO what is expected. Also, start the school year with paper and pencil drawings---evaluate what other supplies you need and search the web for the best pricing. Make yourself visible; showcase your students' work wherever and whenever you can with a brief explanation of "Why" and "Who/What" studied. It is great P.R. Also, teach the first day as you plan to teach the last. The biggest mistake or misconception I see in beginning teachers is they go full steam ahead and bust themselves for the first "magic" three years. Then, after they are tenured, they stop. It is better to start realistically, setting your own parameters for goals and try hard to stick to them. For instance, I gave 110% of my energy and creativity and love for teaching within my school day: 7:15-3:00. I set up community art shows, mentored kids a few times a year after school, but from the beginning made it a "policy" to beat the school buses out of the parking lot...LOL! Keeping everything realistic is always a best practice! Accept that there are just some days/groups who will be chaotic. It’s not YOU; it’s THEM! (Elizabeth Ware) You can be the best darn teacher in the country, have just worked your fingers to the bone preparing an exciting lesson for your students, and they come into your classroom with a stinking attitude and you have to remember that it’s not your fault! "Throw a lot at them" (Elizabeth Ware, my mentor, former Alabama Secondary Art Teacher of the Year) Give them many different opportunities to succeed; Give them easy projects and hard projects. Keep ‘em on their toes! Seek ways to help them succeed with projects they can actually do. I have made many mistakes teaching middle school art where I just tried to teach too much. 8th graders generally can’t handle learning proportion, composition, decorative borders, 2 different painting techniques, AND color schemes all at the same time, especially if ½ of them have never painted before! Model being an artist, thinking like an artist, bring beauty to your community! I know some teachers who have an easel set up somewhere in the classroom where they have a painting in progress for students to see. BEST ADVICE: Find a mentor teacher you can confide in and trouble shoot with. Make friends with the custodians, secretary & bookkeeper (they are the eyes, ears and sometimes heart of the school). But don't be a gossip! Say yes – even if in your head you are saying "if I do one more thing I will lose my mind" – I got nicknamed "the banner lady" my first year because I made banners for almost every event at the school – it was a huge pain, but it also made me lots of friends. Best advice for a new teacher…It goes against the grain for an artist to be organized but being a teacher and being unorganized is a disaster. PLAN PLAN PLAN. Set out supplies before you leave every day. Map out your day. Parents are your friend. I love my parent helpers. Being an elementary teacher with no prep time between classes and an overwhelming amount of paper work to contend with I feel like I never have time to clean, organize or put away previous supplies from other projects. My mom’s help me stay clean. I have one a week come in to help. Send home letters two times a year asking for volunteers. Well, being a first year teacher myself, I would not call myself an expert on this. However, if I had to give one chuck of advice—it would be (1) utilize the opinions and advice of seasoned teachers, (2) get to know each of your students, (3) be passionate about everything you’re teaching and (4) don’t take yourself too seriously! Class management and organized materials, are 2 key factors in having success as a new teacher. critical exercise in the arts. The advice I would give to a new art teacher is to be organized, organized, organized!!!!!! I learned this the hard way! I also make sure I test every project I do before I have my students attempt it. I sometimes have found after I do them myself, some projects are either not worth the time or are far too advanced for my students. The internet has many wonderful ideas and you need to really invest some time in research. I have found that you need to have variety in your lessons. Some are controlled with a specific outcome and rules and some lesson are more free and open ended. The students also LOVE “free draw” day. I have drawing books, real photographs and magazine pictures they can draw from. They can also choose to draw from their imagination. They keep sketch pads in the art room to work in. It is a “CRIME” in my art class to trace during free draw time!!!!! I do an huge art show every other year. I teach 3rd and 4th graders so this gives them each an art show while they are at this school and I don’t get burned out from having a show EVERY year. The show consist of over 2000 pieces of art as well as several group projects. I did not start this until my 3rd year teaching art. This year each student is making an art journal filled with everything they have done in art. The requirements of being an art teacher are, you must love art, you must love kids, and you must not mind a little mess and chaos!!!! Advice: Your students can be your biggest teachers. After each lesson, you can discuss what worked well, what didn't, where they got confused, what was too hard/too easy, etc. Also, do an end of year survey to find out how you can improve as a teacher. Your lessons will improve each year you teach them, so don't get discouraged! I think the biggest concern is keeping students attention so they hear the instructions and don't misuse the supplies. For me, I think consistency is the no. 1 thing. I teach elementary and middle school and it's easier to achieve when you see the students every day as I do with the upper grades. So with the younger grades you have to make your procedures and rules very visible and stick to them consistently. 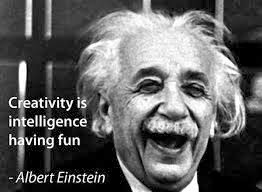 Make them fun and vibrant so the students want to follow them. I always tell them that we will be able to do more fun things if they will focus on me and listen to instructions first. I don't allow them to touch the supplies until they have heard all of my instructions. I think for the elementary you need some sort of signal to quiet the crowd for times when you need to bring them back in for further instruction. So if I had to sum all of this up in one word: consistency. I'm sorry it has taken me months to reply to your email. It showed up at a time where I was really reconsidering my career choices and I was burned out. You would think the holidays would bring out the best in people? Since then I revised my rules, consequences, and my attitude. Happily things are going much better now. My biggest challenge is being divided between two schools. This cuts down on time with my students to get to know them better. Also, its difficult to keep up with the happenings in both buildings... I'm usually playing 'catch up' twice a week. My advice would be: You can always start over. If something is not working, scrap it and start again. Several mistakes I made involved putting off things til 'next year.' Well that just allowed my problems to continue to run their course which wasn't doing anyone any good.